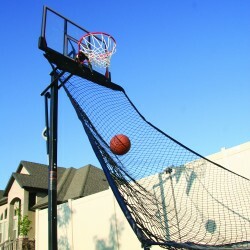 Lifetime basketball hoops and goals for sale. Select from in-ground, institutional and portable. Free Shipping on all orders. 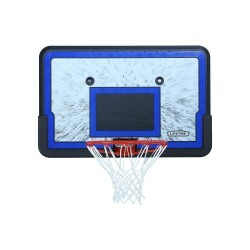 Lifetime Products wants to make your basketball experience fun and memorable. 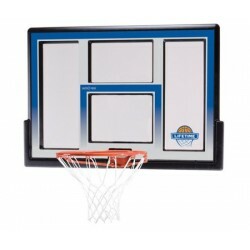 Closeout Item, Only While Available! FREE Fast Shipping! 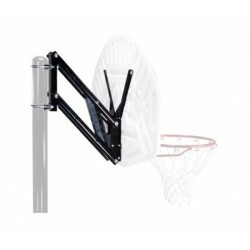 The Quick Adjust Basketball Pole Extension Kit attaches to any 3.5" round pole or to the wall so you can adjust the height of your backboard from 7.5 ft to 10 ft. FREE Fast Shipping! 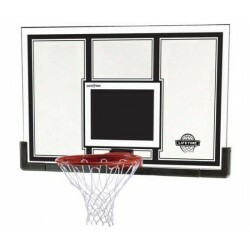 Get an inexpensive, durable Lifetime Impact basketball backboard and rim combo to mount on wall, roof, or existing pole.FREE Fast Shipping! 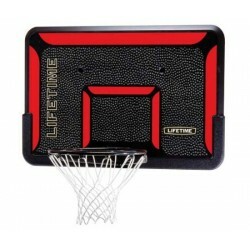 Get a super deal on this Lifetime Impact Basketball Combo. 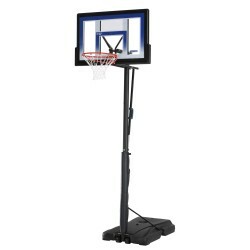 Mount to wall, roof, or existing pole. The 44 in. 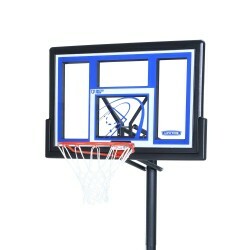 Impact backboard is molded from UV-protected high-density polyethylene (HDPE) plastic and comes with a Slam-It rim with double-compression springs and an all-weather net.FREE Fast Shipping! 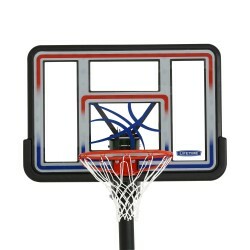 For a pro-glass look, check out the acrylic Black Fusion backboard and rim. Mounting Bracket sold separately under Accessories. FREE Fast Shipping! 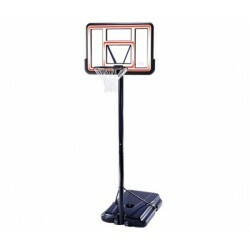 The Streamline 44" Lifetime portable basketball goal is designed with a Telescoping height adjustment feature which allows you to adjust the pole from 7.5 ft to 10 ft without the use of tools. 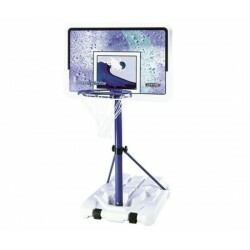 Portable base is simply filled with sand or water to provide the necessary stability. No concrete installation required.FREE Fast Shipping! 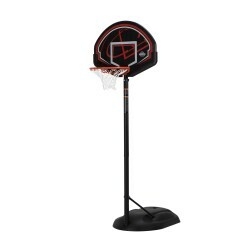 The backboard on the Lifetime Black Fusion combo is virtually Unbreakable--30 times stronger than Acrylic--with a Slam-It rim designed with double-compression springs to take the abuse of high-energy competition. FREE Fast Shipping! This Lifetime Portable Basketball System features a 44 in. 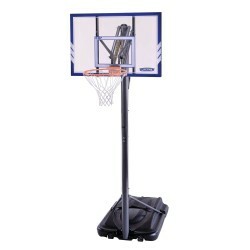 backboard and a telescoping pole to adjust the height of the backboard from 7.5 ft to 10 ft. No tools required. Just fill the base with sand or water to provide the necessary stability. No cement installation required! 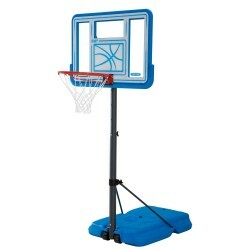 Basketball pool hoops are a perfect addition to your swimming pool! 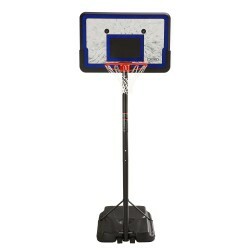 This Poolside basketball hoop from Lifetime features a 44 inch Shatter-Proof Fusion backboard with a telescoping adjustable height that adjusts from 4-6.5 feet high. FREE Fast Shipping! The 50 in. 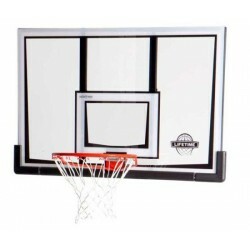 shatter proof playing surface on this Lifetime basketball backboard and rim combo is many times stronger than acrylic--virtually unbreakable--and provides superior rebounding performance. 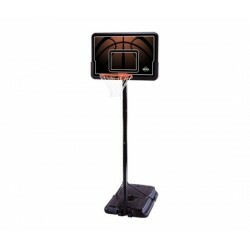 Designed with a Slam-It rim with double-compression springs for spring-back action. FREE Fast Shipping! 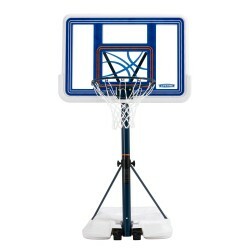 Large 54 in. 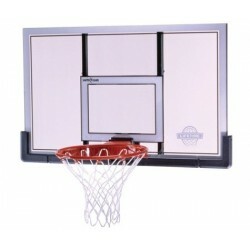 Lifetime shatter proof basketball backboard and rim combo attaches to wall, roof, or existing pole.FREE Fast Shipping! 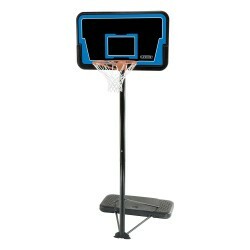 Get into the action with a Lifetime Courtside Basketball Hoop with 48 in. 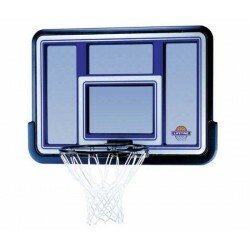 shatter proof backboard and portable rollerbase that fills with sand or water to provide the necessary stability. No concrete installation required.FREE Fast Shipping! 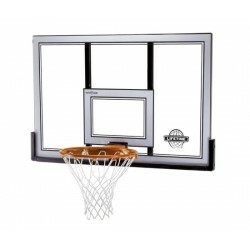 This Lifetime Basketball Backboard & Rim Combo has a shatter proof playing surface with a spring-back action rim. 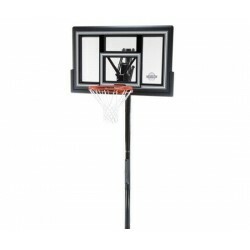 Mount to wall, roof, or existing 3.5 inch pole. FREE Fast Shipping!